Moda Winter Village Cherry 30552-13. 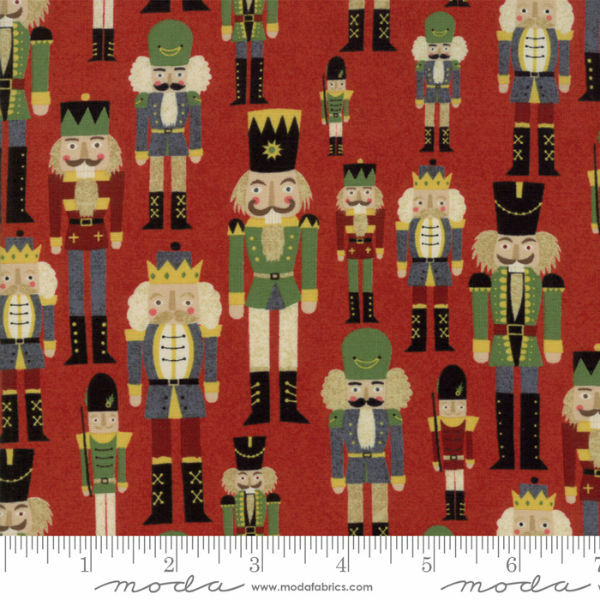 Create classic Christmas projects this year with fabrics from the Moda Winter Village Collection. Nutcrackers, snowmen, candy canes, and pine cones with which to make joyous, colorful quilts, wall hangings, runners with - so many possibilities! 100% cotton. 44/45 inch.